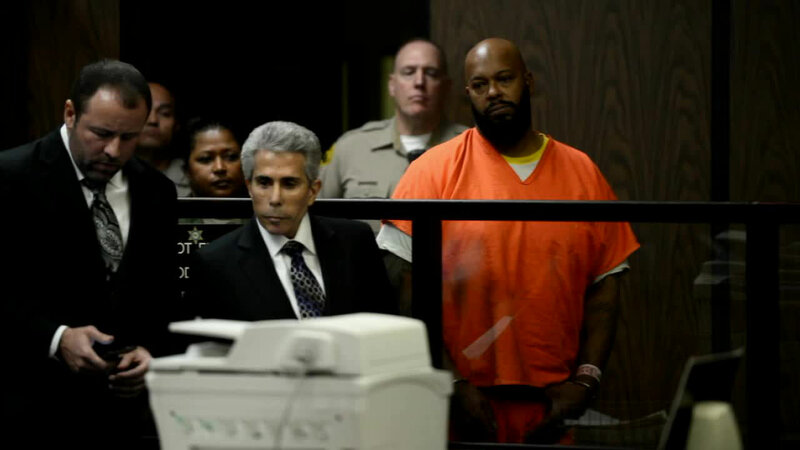 LOS ANGELES, CA -- Marion "Suge" Knight collapsed in court Friday after a judge set bail at $25 million, as requested by prosecutors. Knight's attorney says his client collapsed in court and hit his head on a chair, knocking himself unconscious. When requesting the $25 million bail, the prosecution cited 31 incidents in which Knight was accused of threatening others or using violence. After the bail was set, Knight's attorney noticed the 49-year-old was sweating profusely. Knight collapsed and did not regain consciousness for about 10 minutes, the attorney said. He has been transported to an area hospital. The former rap mogul pleaded not guilty to murder and attempted murder after hitting two men with his truck in Compton. The incident, which came after a confrontation related to the filming of "Straight Outta Compton," left Terry Carter dead and Cle "Bone" Sloan injured. The Death Row Records co-founder claims he was trying to escape after being attacked. A preliminary hearing has been scheduled for April 13. If convicted, Knight could face life in prison because of California's "three strikes" law.